It’s estimated that nearly half of us over age 50 may be at risk for our bone health, and that includes men as well as women. In younger women the risk is increasing as they are often lacking sufficient bone-building nutrients from their their diets, as well as a the physical activity needed for bones to be strong enough to last a lifetime. Your bones are continually being replaced, but growth only occurs from birth until about age 30. Then you enter the normal age-related bone mineral loss period that continues for the rest of your life. If not given the right kind of care, bones can begin to weaken early in life. It’s a quiet, symptom-less process and you can’t feel it happening – or see any signs – at least not in the early stages. You need to give your bones special care throughout your lifetime, as they never top the process of breaking down old bone and building new bone – whatever your age. We’re living longer today and we want to live an active life as long as we can. To do that, you need strong bones, and you need them to stay healthy and strong your entire life, not just for pleasure, but also for protection. When you’re older, the consequences of weak bones can strip away your independence and can even be deadly. 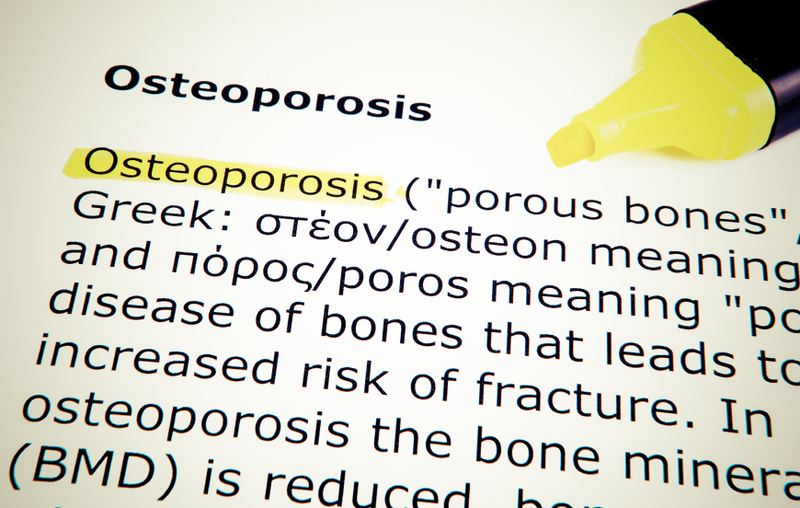 1 Unfortunately osteoporosis is known as the “Silent Thief” for a very good reason. There are no symptoms until you break a bone so can easily be at risk without realizing it? 2 Physical activity and the proper exercises are essential for increasing or maintaining bone and muscle mass, balance, and coordination. 3 Dietary changes to improve your bone health, including knowing just what will help your bones to grown and be strong. Osteoblasts produce a protein called osteocalcin that strengthens your skeleton and for this progesterone is the key hormone to strengthen and build new bone. What can weaken your bones? Statins These are very commonly prescribed help lower cholesterol levels but in addition to some serious side effects such as muscle pain and liver damage statins interfere with vitamin K2’s bone-building functions in your body and increase your risk of deficiency. Antidepressants Many antidepressant drugs act by altering your serotonin levels and can therefore lower your bone density, according to a recent review of current evidence. At menopause women are often prescribed such drugs, not just for depression but as an alternative to HRT. Osteoporosis It may seem illogical, but most osteoporosis drugs actually weaken your bones. Bisphosphonate bone drugs impact your normal bone repair process by killing off your osteoclasts, and do make your bones denser, but because the osteoclasts are killed the bone is actually weaker as it is not remodelled properly. Undiagnosed gluten intolerance If you have undiagnosed gluten intolerance, you may not be absorbing the nutrients you need for bone health. When study subjects followed a gluten-free diet for one year, their bone density improved. Smoking and drinking Smoking increases your rate of bone loss, and consuming more than two drinks a day for men and one drink a day for women can interfere with your body’s ability to absorb calcium, slowing new bone formation. Soft Drinks Animal studies show that the phosphorus in these drinks weakens your bones by promoting the loss of calcium. A can of cola with caffeine contains the most with 37 mg of phosphorus, while the same size serving of diet cola with caffeine contains 32 mg. Cream soda and ginger ale are phosphorus free if you need a fizzy fix. If you know you have a family risk, then the best way to know for sure is to have your bone density tested regularly by your doctor and everyone can start to take care of their bones with some simple steps. Step one is to have regular weight-bearing physical activity and strength training as these are ideal for bone health. 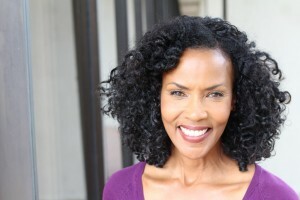 Other weight-bearing activities include brisk walking, tennis, jogging, climbing stairs, hiking, and dancing. If you are not able to do these exercises, walking regularly is highly beneficial. Step two is to ensure you support your bones with an optimum blend and balance of four major nutrients: calcium, vitamin D, Vitamin K, and magnesium. They are all needed so taking just one or two in isolation won’t be as effective as they work together to produce the right bone building elements. Vitamin K helps to cement the calcium you absorb into the bone matrix rather than depositing it on the inside of your blood vessels leading to atherosclerosis. When Dr John Lee started using progesterone cream to help his women patients, many of them were doing so for osteoporosis. He had patients in their 80’s who started using it and saw their bone health improve as it is progesterone that is essential to not just balance excess oestrogen but is the key hormone in building strong bones. 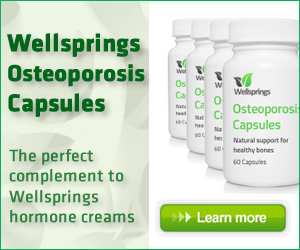 Serenity in combination with Wellsprings Osteoporosis Capsules is the place to start building healthy bones.